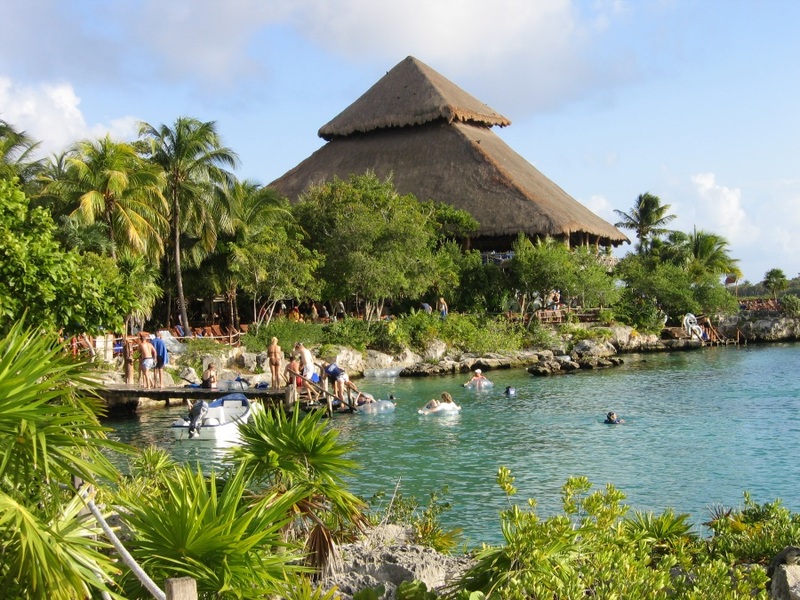 Xel-Ha is an all-inclusive ecological natural park, located in the heart of Riviera Maya, 50 kilometers from Playa del Carmen city. 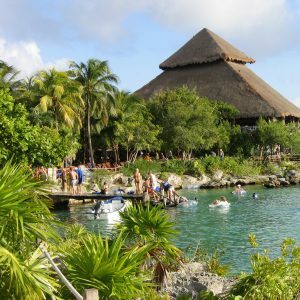 Recognized as the largest natural aquarium in the world, with its river, cenotes, lagoons and green tropical forest, Xel-Ha offers extraordinary aquatic activities for all families, groups and couples, who want relaxing or exploring vacations. 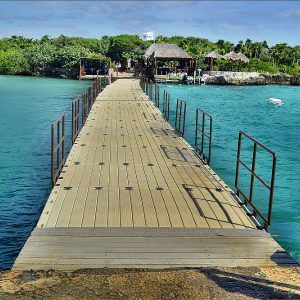 If you love nature and adventure, Xel-Ha is the perfect place where you can spend the day snorkeling, swimming with dolphins, sea trek, snuba or exploring the tropical forest and to recover energies eating in the restaurants where you will delight the most delicious paradisiacal flavors. 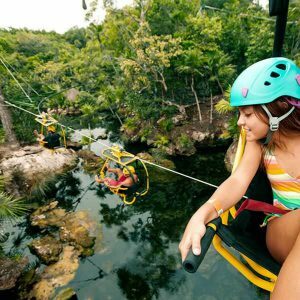 Start your adventure taking a life jacket or a floating tire and go swimming along the amazing river; snorkel in the crystal clear water of the enormous natural inlet and observe a wide variety of tropical fish that inhabit this paradise of the Riviera Maya. Walk trails and discover the secrets of nature; enjoy a moment of total peace in the hammocks area; ride a bicycle through the jungle or have fun on different zip-lines. Everyone will be able to take a break at any of the four restaurants and eat as many times as they like, from snacks to a buffet with exquisite national and international dishes. Don´t forget to enjoy a refreshing and exotic drink. Enjoy unlimited snorkel, you will have the opportunity to witness the phenomenon of the halocline and thermocline, a visual and temperature effect resulting from the mixture of the dense sea water with fresh water from the rivers and observe more than 90 marine species. Explore the Mayan Cave, a covered cenote. Climb and jump from the Cliff of Courage, test your balance with the Trepachanga and walk over the river between two ropes and for the little ones, the Children’s World is the perfect place with its wading pool, playground, water slide, rope climb, seesaw, crocodile tunnel, hanging games, water lilies and turtles for photos. 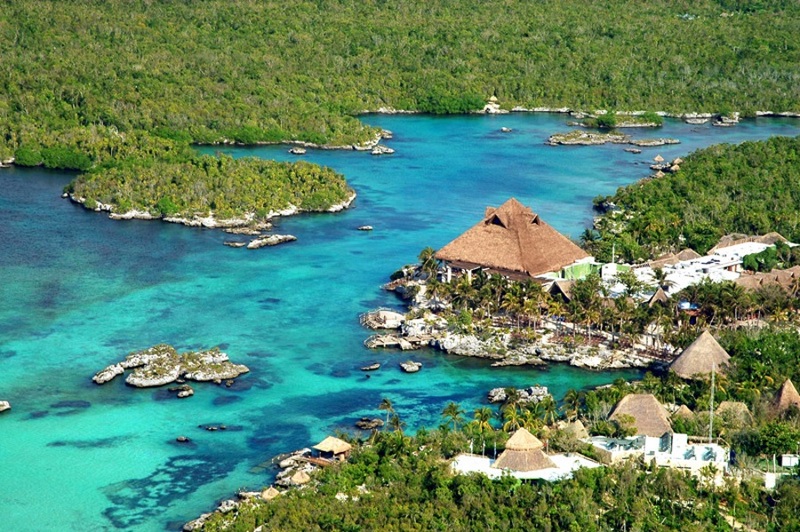 Xel-Ha is an incredible place to explore the crystal clear waters of the Riviera Maya once you are wearing the fins, the life jacket and mask. In this Natural Wonder you can observe more than 90 marine species such as angelfish, surgeonfish, damselfish, snapper, parrotfish, grouper, sergeant major, pufferfish, some barracudas and the queen conch, a protected species that inhabits the cove of Xel-Ha. You will have the opportunity to witness the phenomenon of the halocline and thermocline, a visual and temperature effect resulting from the mixture of the dense sea water with fresh water from the rivers. 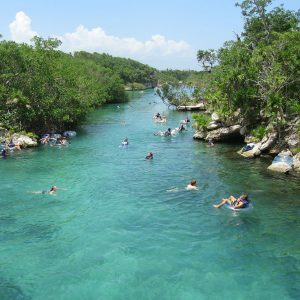 Relax and just go with the flow of the refreshing water of the underground rivers and pass through beautiful nature that surrounds the river of Xel-Ha while snorkeling or floating in an inner tube. Along the way you can find different activities such as the Cliff of Courage, the Monkey Jump, the Trepachanga and the Salpichanga, awesome activities that are the perfect complement to a day of fun and the best way to test your courage, skill and adventurous spirit. River Floating is the most complete and fun adventure at the Park. Let yourself flow with its natural gentle current. 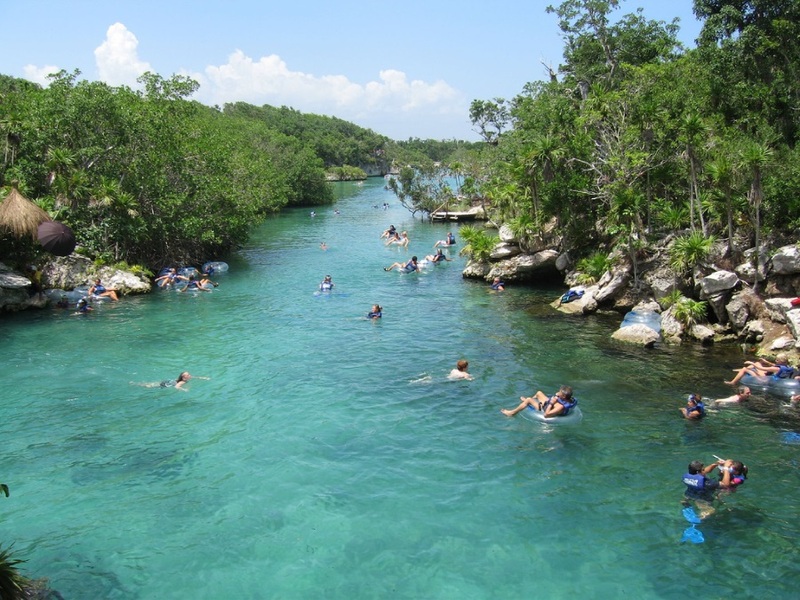 At the end of the River, continue exploring paths surrounded by jungle, rocks, caves and cenotes. 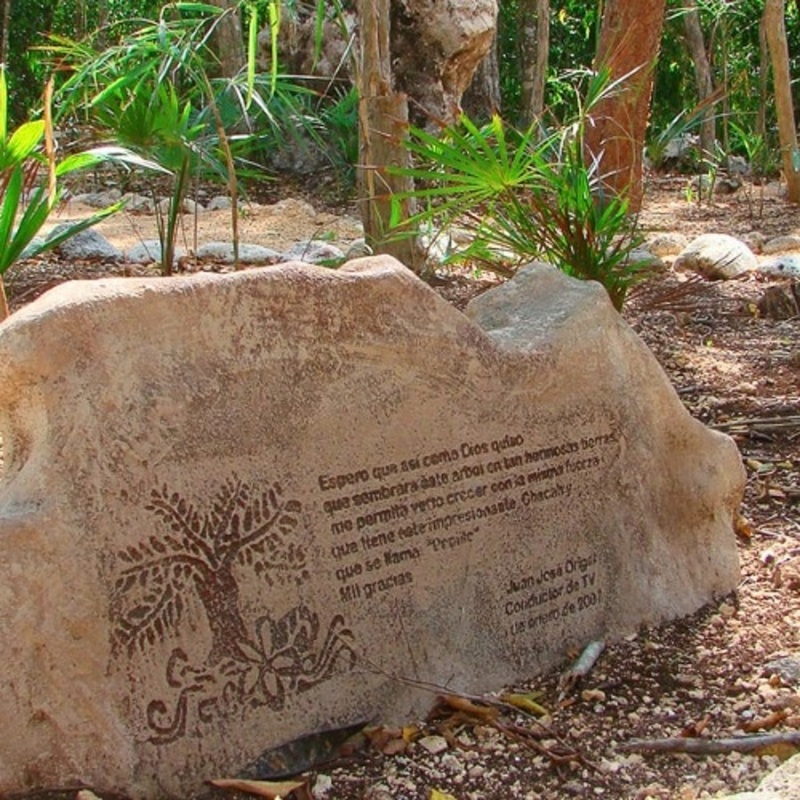 Explore a quiet place for reflection that safeguards the natural park of Xel-Ha. The Mayan Cave is a covered cenote, considered a sacred place, where water transmits energy through its lighting and natural acoustics, leading to a state of peace and relaxation where small waves echo within this interesting enclosure of Xel-Ha. Above the jungle paths that lead to the river you can find the Ixchel Grotto, a lagoon of turquoise water for those looking for a more intimate place to swim. Get into a cave to discover the secrets of its past. Admire fossils of extinct mollusks on its walls, and even parts of an ancient reef, which confirms the theory this region was covered by the ocean. One of the more extreme activities at the Park, jump from a height of 5 meters, with cracks and ropes that give the brave the option of a thrilling ascent in anticipation of the jumps that follow. 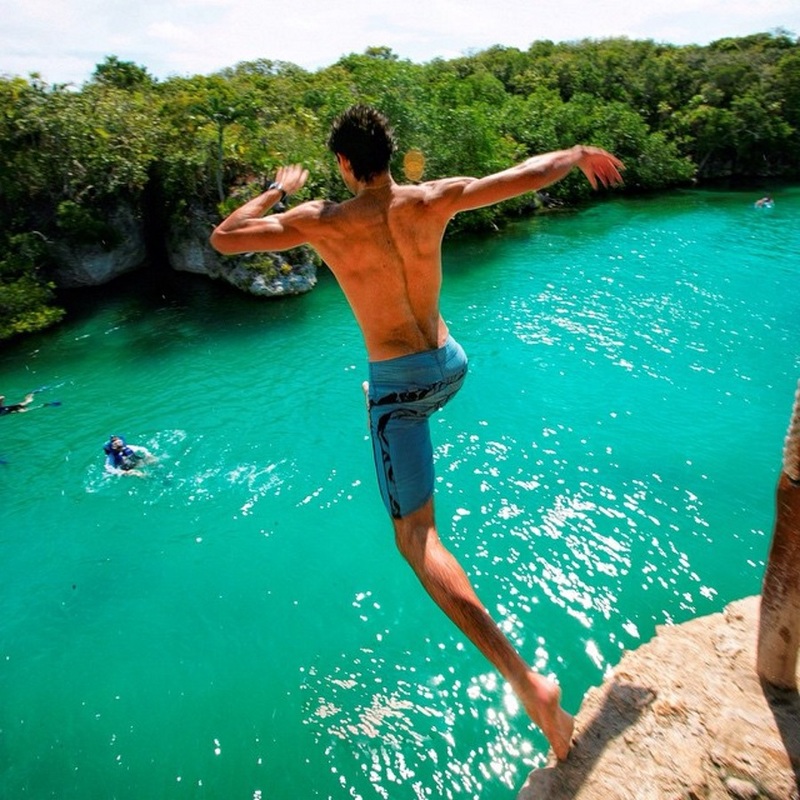 Prove your courage and dare to jump these challenging heights and fall into the refreshing turquoise waters. Test your balance with the Trepachanga and walk over the river between two ropes. Dare to feel emotion and have fun with your friends to see who can cross without falling into the refreshing waters of the river or slide down on the Salpichanga and end up in the fresh and crystalline waters. This fun activity found from the river or from the garden paths, consists of a single circuit with a total of six zip-lines. A hammock and two swings will transport you back and forth. 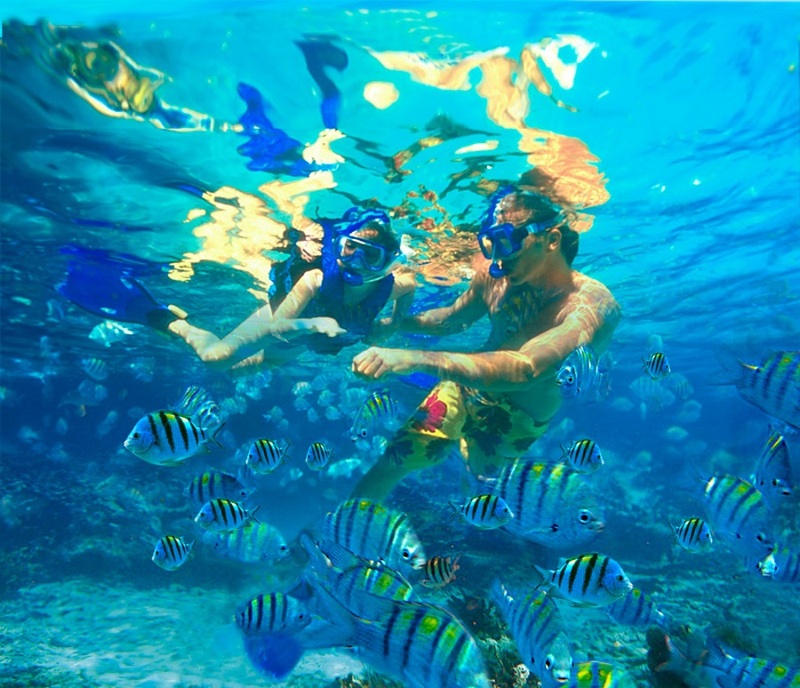 A wonderful recreational area for swimming, snorkeling and discovering the tropical fish living. 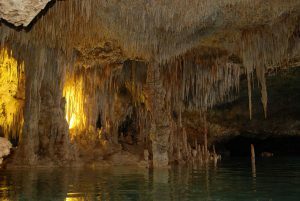 The cove of Xel-Há is not only an entrance of the sea to the interior of the continent, but also the mouth of several fresh water channels that make up the longest system of underground rivers in the world. 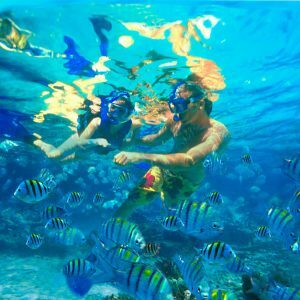 Swimming or snorkeling you get to see more than 400 species of plants, animals and fish of different colors and sizes that live freely in this protected ecosystem. 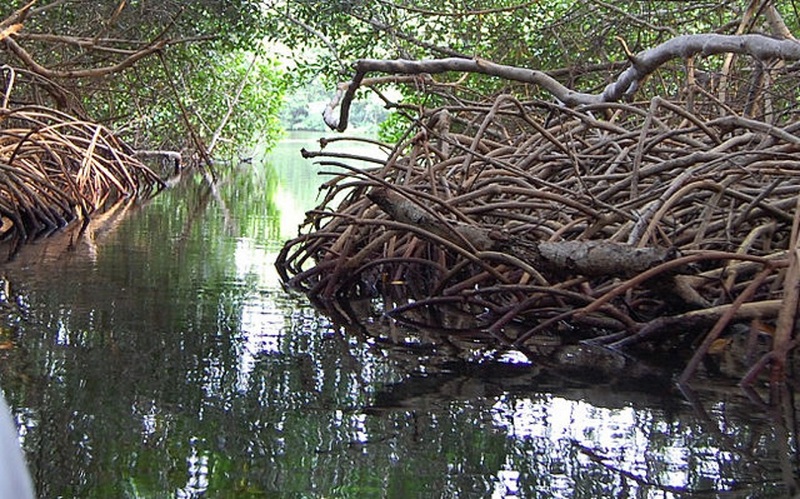 Mangroves are essential to our ecosystem and Mexico has one of the largest areas of mangrove forests in the world. It is a natural barrier against hurricanes and helps control the erosion of the sea on the coast. 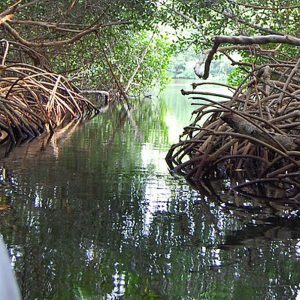 Their capacity to adapt and their tolerance for harsh environments has given mangroves their whimsical appearances, beautiful to view from above, and bewitching to behold underwater. An excellent perspective of the mangrove forest at Xel-Ha can be found along the pedestrian path to the river, taking a shortcut that leads to a platform completely wrapped in this stunning vegetation. 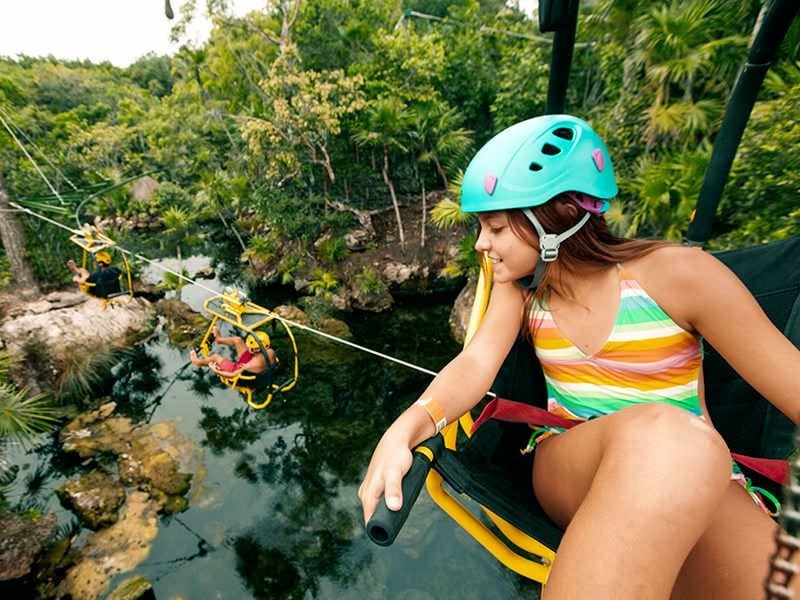 An adventure in Xel-Há has no limits, and even the younger visitors discover that this is the best place for having fun. 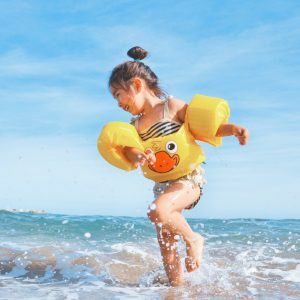 Located close to the main service areas, the Children’s World has activities in which the little ones can have fun for hours, such as a wading pool, playground, water slide, rope climb, seesaw, crocodile tunnel, hanging games, water lilies and turtles for photos. Children interested in learning more about Xel-Ha and its guardians can get creative with fun activities like painting and drawing. 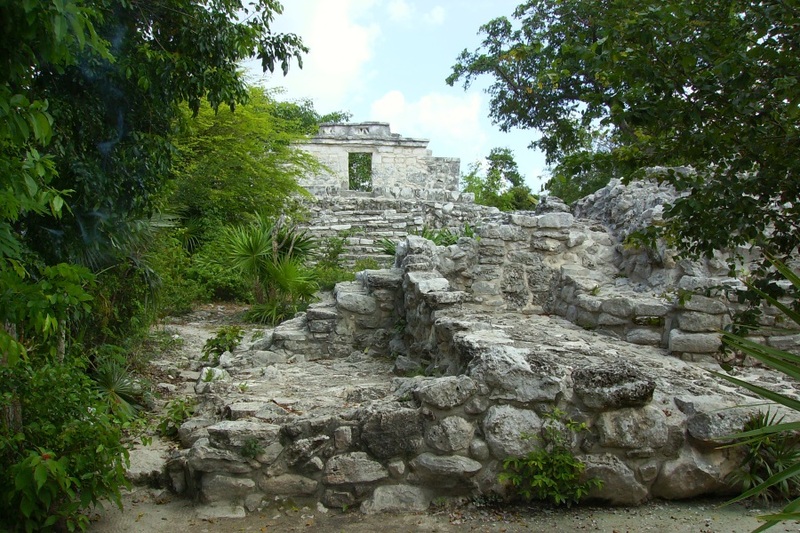 Find a historic wall and the inscription which narrates its Mayan past. 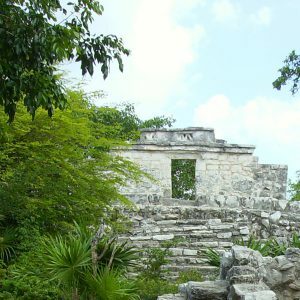 Explore the first traces of human presence in Xel-Ha when visiting the ancient Mayan wall while you enjoy the enigmatic landscape of the jungle. 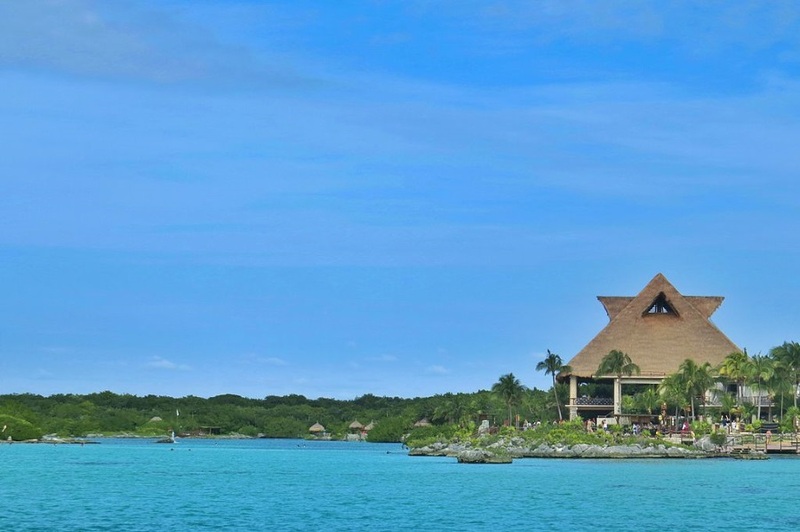 Xel-Ha served as a very important Mayan port city, peaking between the 1st and 6th centuries A.D. but it wasn’t until the 12th century that it reached its greatest splendor when the wall was built to protect the harbor. 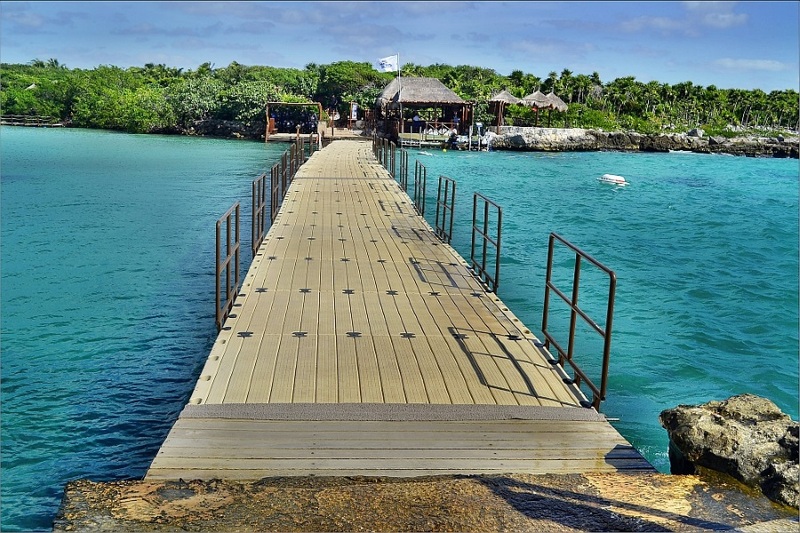 A bridge formed by interconnecting floating sections, linked on the water, separating the Cove from the open sea of the Caribbean. Crossing of the Floating Bridge is a very fun experience. When you reach the other side, don't forget to take a picture seating on the big chair. 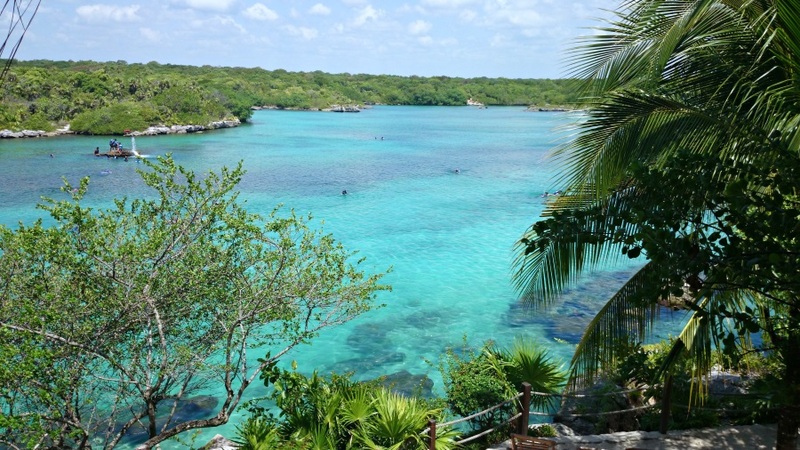 For nature lovers, ride along the jungle paths of Xel-Ha on a bicycle and observe the wildlife of this Natural Wonder. 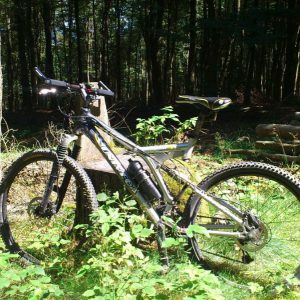 There are bikes available for adults and children alike, with adjustable seats, pedal brakes, and bags for carrying belongings. You can ride either from the river station or the terminal station. In this peaceful ride you can encounter coatis, porcupines, and agoutis approaching the path to feed, some shy and others not so much. 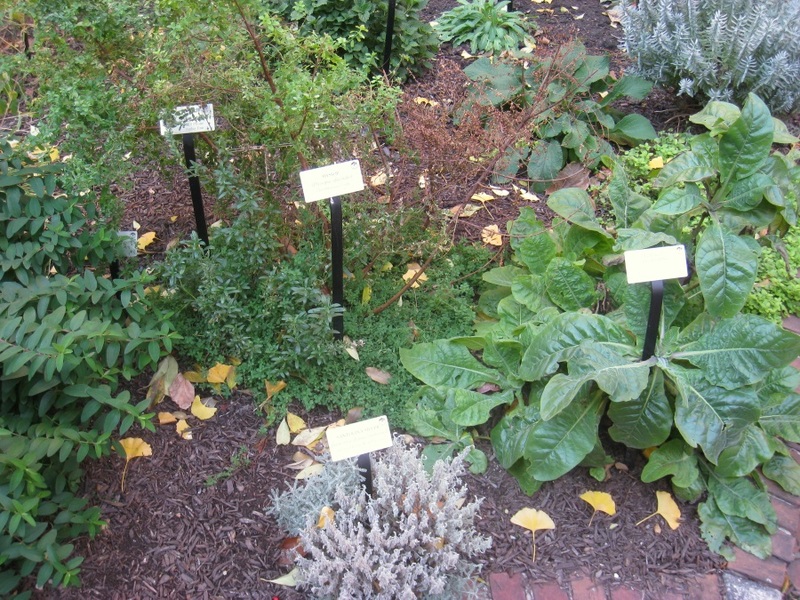 The Xel-Ha Nursery is home to a wide variety of native plants. Our Nursery is based on projects for the conservation of the vegetation of this nature reserve, as well as endangered species. 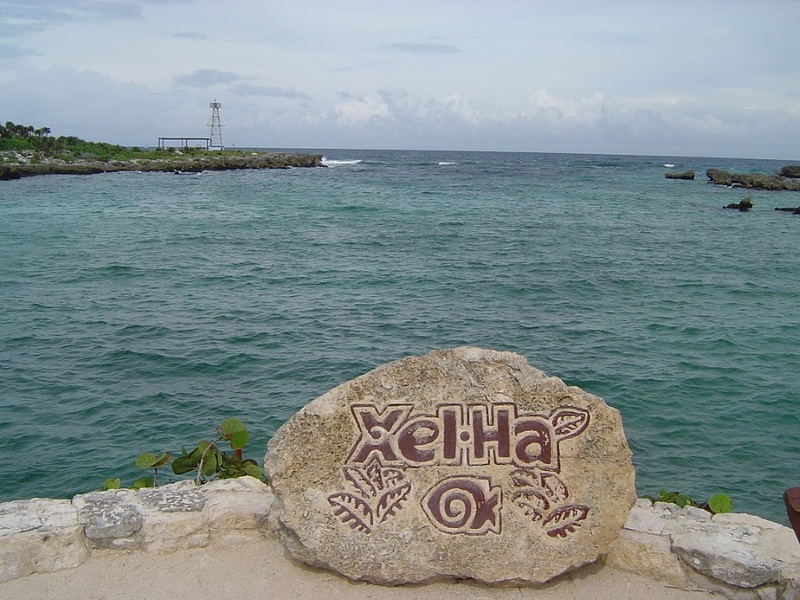 All of the Xel-Ha Nursery plants have a historical value dating back to ancient Mayan culture, and are of vital importance nowadays to the communities in the Yucatan Peninsula. 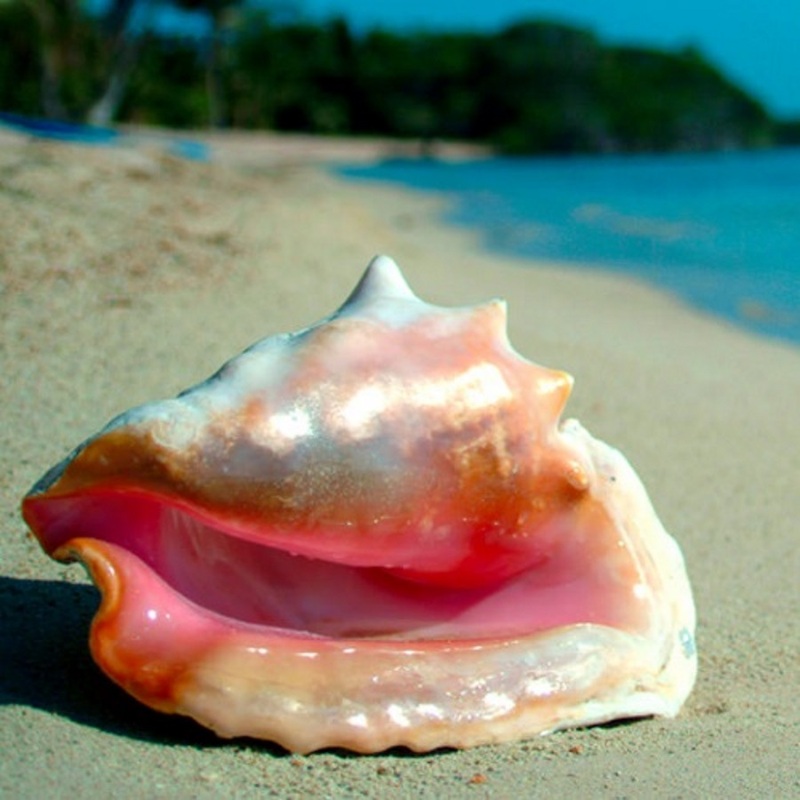 The queen conch is an endangered species due to excessive commercial consumption by humans. 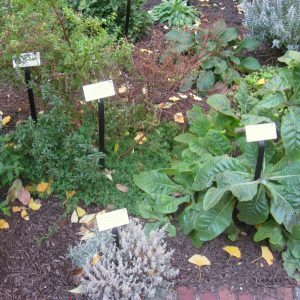 In some regions of the Caribbean it has already vanished. Xel-Ha hosts the program “Protection and Preservation of Queen Conch (Strombus gigas).” Since 2001, along with the Center for Research and Advanced Studies of the National Polytechnic Institute Merida Unit, bi-monthly monitoring has been performed to determine how the queen conch population is composed in Xel-Ha's inlet. 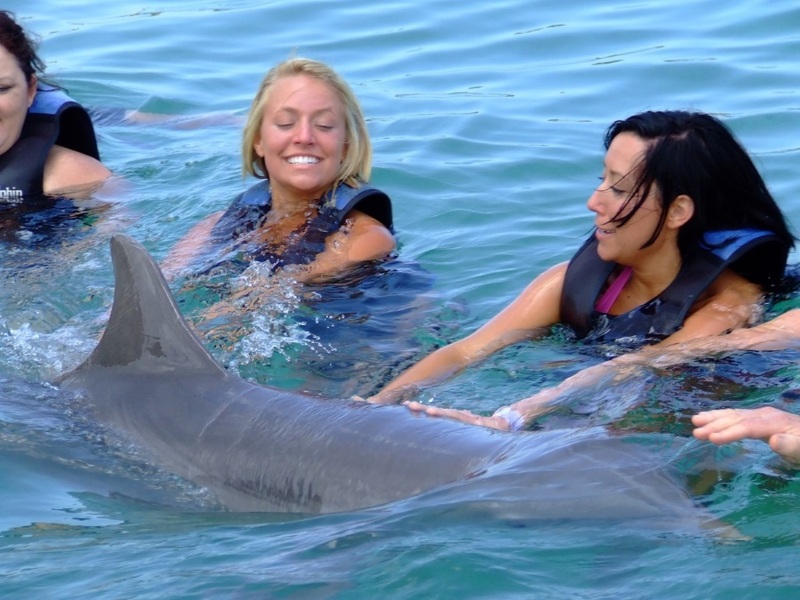 Swim with one of the funniest and friendliest animals of the sea; dolphins will become your new friends. 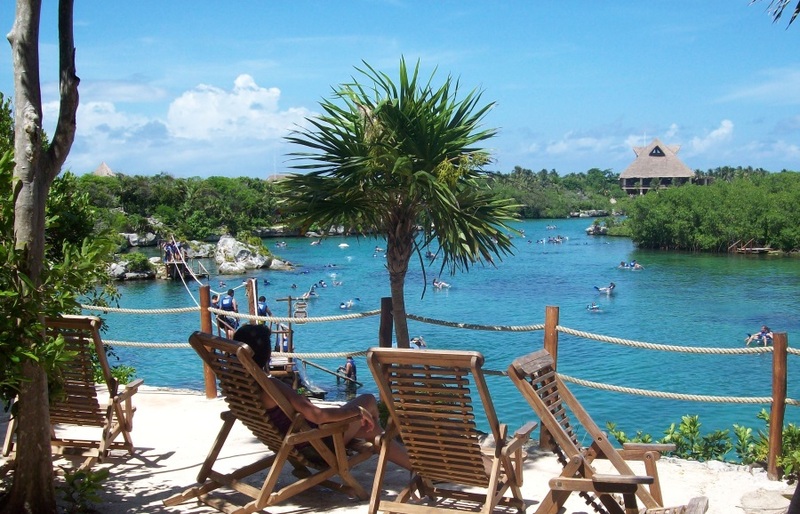 At Xel-Ha you can play with them and watch them swim in their natural environment. Share with your family and friends a unique moment. Observe them underwater, play with them and learn how they swim, breathe, eat and sleep. Admire the underwater world as you walk on the bottom of the sea. Live a totally unique experience, immerse yourself into the ocean and admire the underwater world. Walk in the sea using the Sea Trek technology. Feel the freedom of exploring the ocean among hundreds of tropical fish or lose yourself in the mysterious underwater world of cenotes at Xel-Ha. Enjoy this incredible opportunity and dive into the crystal clear waters and swim among colorful fish and amazing underwater vegetation. 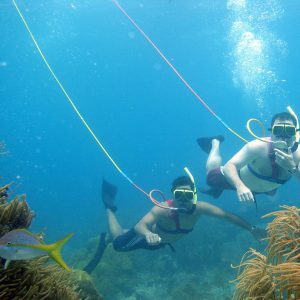 Discover the underwater world in this combination of snorkeling and scuba diving. 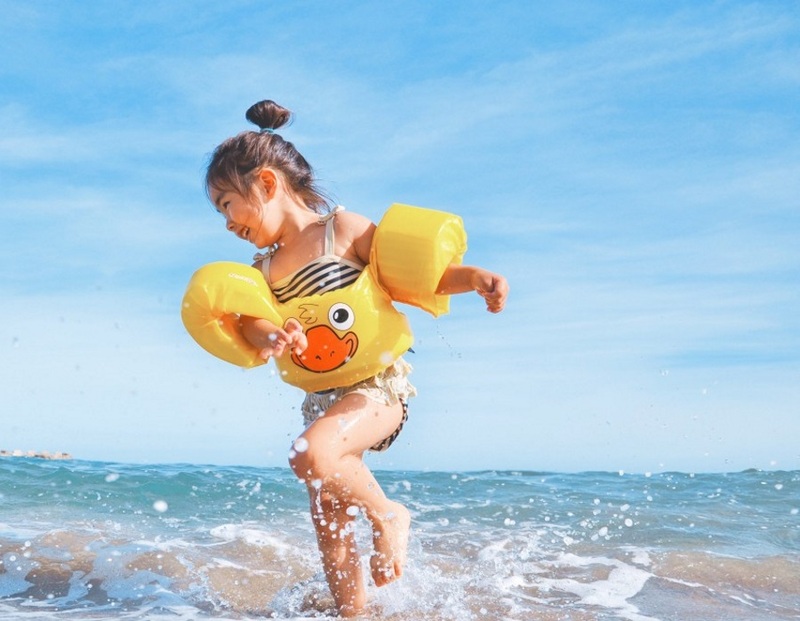 Not Included Activity | Subject to weather conditions | Duration 40 minutes | Minimum 8 years of age and more than 4.6 ft height | Activity not recommended for pregnant women and for people who suffer hypertension, diabetes, heart problems or asthma. Zip-Bike is a fun combination of bikes and zip-lines that allows you to cycle above the treetops admiring the beauty of the forest and the animals that inhabit it. 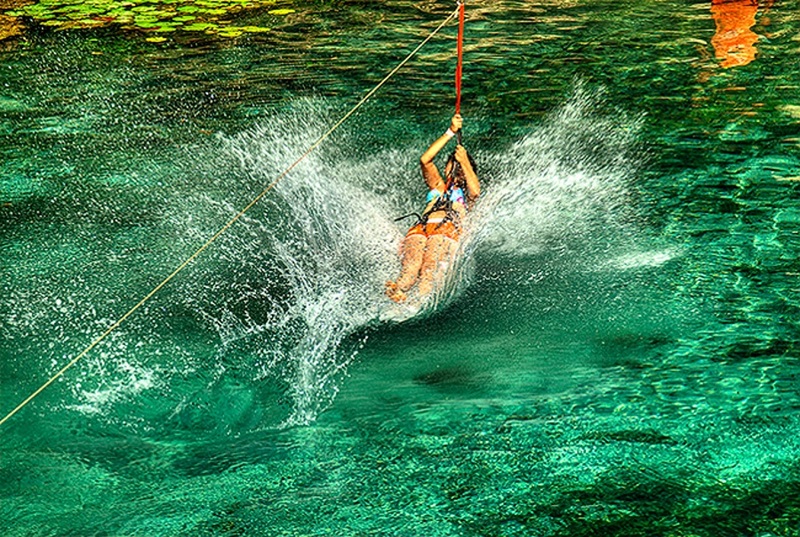 You will fly over cenotes and pass through the caves of Xel-Ha. 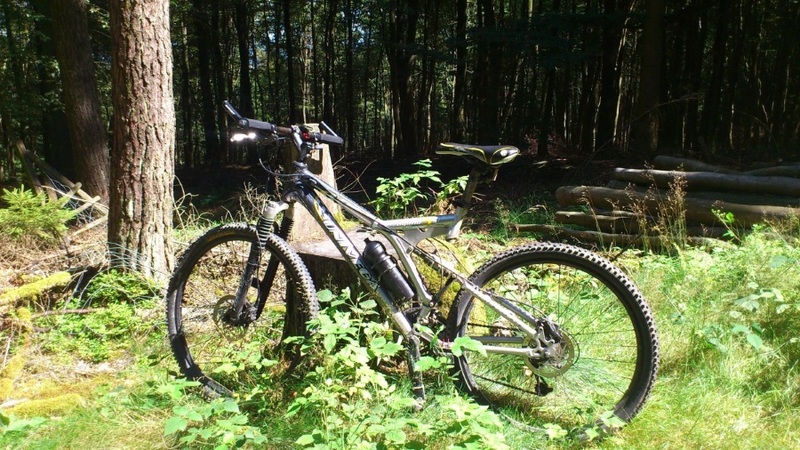 Discover all the magic and splendor of nature cycling at a maximum height of 7 meters. A route of 500 meters in which you can observe from the heights the virgin landscapes that the ancient maya dominated for centuries.